Ooni of Ife reats to fire incident at Oba of Lagos’ palace – Royal Times of Nigeria. 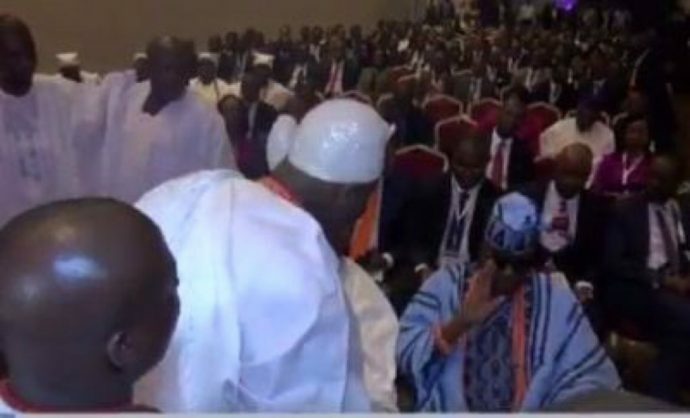 A palace official of the Ooni of Ife has said the Ife monarch had nothing to do with the fire that gutted the palace of the Oba of Lagos on Tuesday. The spokesperson of the Ooni’s palace, Moses Olafare, said Oba Enitan Adeyeye Ogunwusi, is unhappy with the fire incident. When the fire occurred, rumours on social media said it was caused by the snub, which Olafare denied. He said; “We are not happy over the fact that the palace of Lagos king got burnt, we can only sympathise with the palace on the development,”. “People are entitled to their own views,”. “What happened is mere coincidence and should not be traced to the incident in Lagos, we send our sympathies,”.